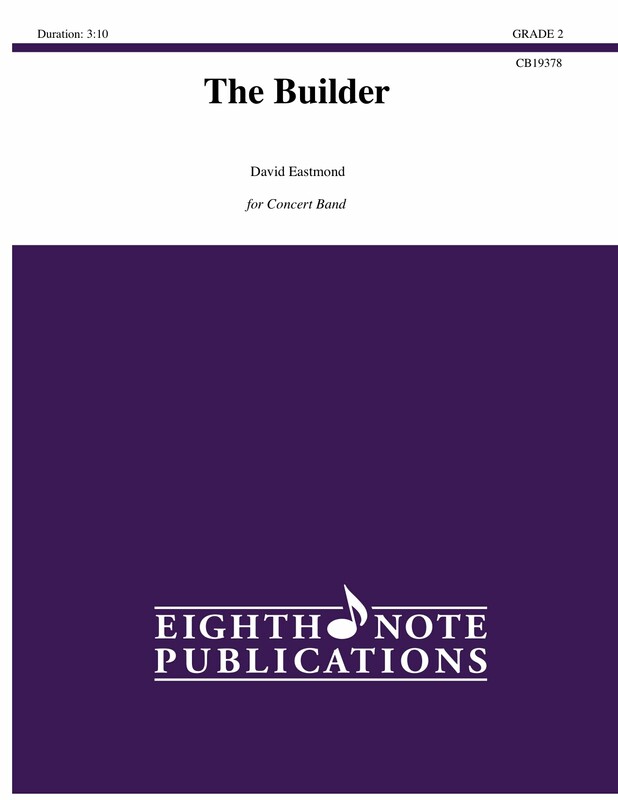 The Builder is a dedication to the creative process and to those who create - whatever that might be - from idea, to construction to the unveiling of the creation. Hammering, metallic sounds evoke working with something physical - perhaps some kind of flying machine. After many hours toiling, brainstorming and incubating in the workshop, the inventor finally lets their creation fly. Celebrate the creative drive with The Builder. Expressive melodies, bold harmonies and creative use of percussion will allow your musicians to shine with many opportunities for expressive and dynamic playing.